Here we are in 2013! and half the month of January is almost gone already. I hope this isn’t an indicator on how fast time is going to fly in the new year. 2012 flew by so fast it left my head spinning. I’m not a resolutions kind of gal so instead of making any New Years resolutions that I am guaranteed fail at I like to make new goals for the year. Goals sound so much more attainable than keeping a resolution. Lucky me I got my hands on one of the new HTC Windows Phone 8X to play with. I’ve only been using it a couple of days and can see how much this phone is going to help me keep up with my new blogging goals for the year. Updating my social media accounts is a dream on this phone. And because it has live tiles on the start screen I immediately see any updates on all my social media accounts. I can even add a tile of my all favorite friends and family and see they’re updates and photos from Facebook or Twitter live as they happen. Cool don’t you think? I love this feature! Pin the Live Tiles you want, and snap! There’s the stuff you care about, updating in real time, right on your Start screen. You can pin people, apps, songs, websites, directions, games, photos, docs, and more. Only Windows Phone has Live Tiles, and only Windows Phone lets you pin what you love. Do you have a computer with Windows 8 running? I don’t and I didn’t think I would ever want to upgrade from Window 7 to 8 but this phone just may change my mind. The Windows phone is just like the tiles you have on your start screen on your computer. You can also sync all your Windows programs to your phone. Now I have to brag a bit about the camera on this phone. I’m a photo nut so that is one of the first things I have to check out when I get a new phone. Today I was taking some picture for my blog. I was using my DSLR camera. But then I thought lets see what this Windows Phone 8X can do. Look at this awesome closeup shot of my lunch. I also tried to take a closeup with my DSLR with a 50mm lens but I could not get this close. I did do a little editing on this picture. I did a slight adjustment to the curves and sharpened it a smidgen. But I had to do less editing then I usually do with my DSLR. My studio kitchen is not really set up yet in the house we just moved into. But I get pretty good light in the kitchen because there are two French Doors and the light shines in. So what do you think? Does this new Windows 8X phone rock or what? Here are the details from the Windows Phone site. Launch the camera with the press of a button, then take a photo or shoot HD video—even when the phone is locked. Express yourself with Lenses, photo apps that work right in the camera’s viewfinder. Then post or text your creations straight from the camera (no need to open separate apps). Plus, you can set your phone to automatically back up every photo and video to SkyDrive, keeping your memories safe and snug in the cloud. I haven’t shot any video yet or played with any of the photo apps but I have uploaded my pictures to my SkyDrive. I love being able to immediately upload my photos so they are stored safely online. Do you like any of the features I mentioned for a cell phone? What do you think about a cell phone running Windows 8? I’ll be bringing you more news on the Windows phone soon! Dsiclosure: This is a sponsored blog post. 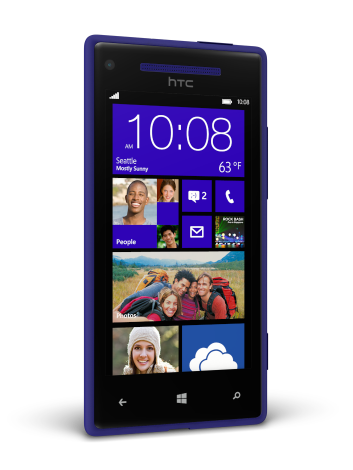 I am part of the #Troop8 bloggers who received a HTC Windows 8X Phone and a couple of months of free AT+T wireless services so I could test out the phone and share my opinion of. All opinions are my own honest opinion. Detailed information was taken from the Windows Phone site. Sounds like you have had a lot of fun with your new toy. I’m glad you’re enjoying it. It sounds like a great phone. Sounds cool!! It’s a good phone.